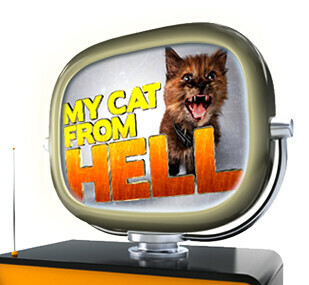 When I first heard of this show, the title put me off. I’m not sure why, I thought it might portray the cats in a bad way. How wrong was !?! We watched the first series this week and I love it! 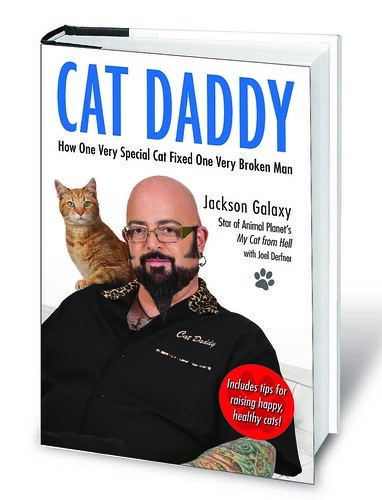 A few of the owners (or guardians as Jackson refers to them) mad me angry to start with, especially one guy who really hated his girlfriend’s cats, but by the end of each show all the cats and people were happy with each other and it was so great to see. My favourite cat of the first series was Minibar, a feral cat who was so scared and angry with the world. I nearly cried at the end after Jackson had worked his magic. I truly believe there are no bad cats. Some cats are misunderstood or have been in bad situations but that is no reason to ever give up hope on them. This series shows that with a little time, patience and effort even the most aggressive of cats can become happy and well-adjusted. 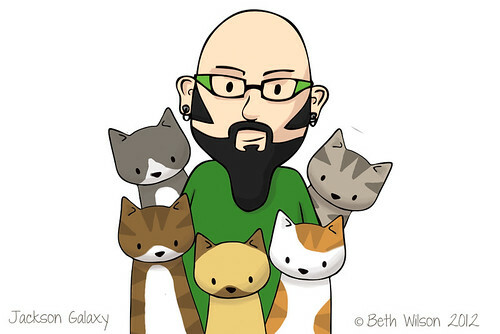 Jackson Galaxy might not look how a lot of people would expect a cat behaviour expert to look and when he turns up with his guitar case full of cat toys and treats most people look surprised. That just makes it even more awesome when this big tough looking guy turns a hissing cat into a cuddly ball of fur. His book, Cat Daddy: What the World’s Most Incorrigible Cat Taught Me about Life, Love, and Coming Clean , arrived in the post yesterday so I’m going to spend this afternoon reading it whilst curled up with a cat or three. Having been involved with an animal rescue charity for 3 years, I can confirm what you have said Beth. I have personally fostered 9 cats now, and all of them eventually come around with time, patience and the right attitude. Some of the stories from our charity are quite heartbreaking, like Jimmy who had to have his tail part-amputated because he had chewed it to pieces. It turned out he had the cat equivalent of OCD, and his lovely fosterer worked really hard to break his cycle of nervousness and self-abuse. He will never be a completely “normal” cat, but he has been adopted into a home where the people can carry on the great work of his fosterer, and he is blossoming! he rocks! and yeah, i’m a crazy cat lady too. got quite a little herd of rescues! haha! i adore them! and your site is awesome! i’m puttin’ it on my facebook wall! yay!